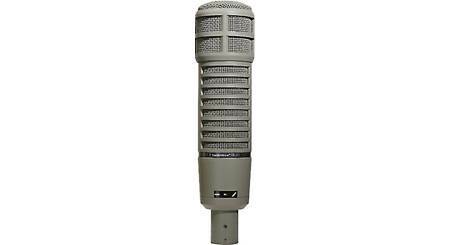 The Shure KSM141 condenser microphone was designed for recording instruments in the studio. 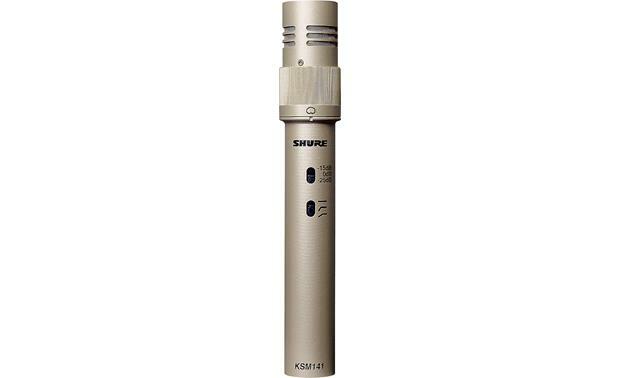 The Shure KSM141 condenser microphone was designed for recording instruments in the studio. You can easily switch between the mic's cardioid and omnidirectional polar patterns, to capture the most accurate sound from a variety of instruments. 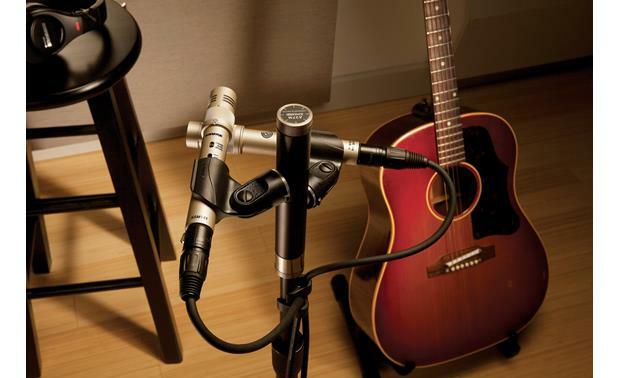 Use two KSM141mics in an X/Y configuration for capturing great acoustic guitar sounds. 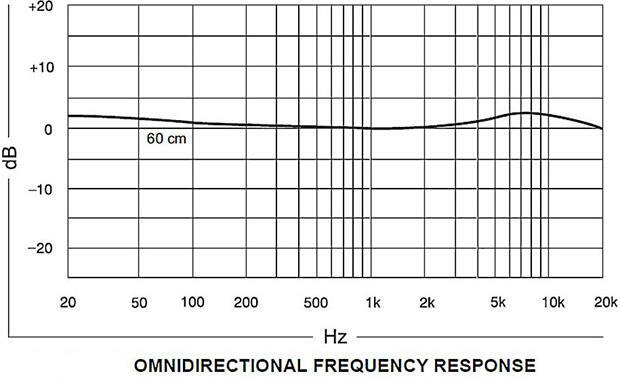 The mic's subsonic filter rejects sounds below 17 Hz, virtually eliminating low frequency rumble. A selectable low-frequency filter lets you further reduce the effect of background noise. And the mic's three-position switchable pad lets you make adjustments for handling extremely high sound pressure levels, helping to keep the recorded sound clean and accurate. This end-address mic features an ultra-thin 24k gold-layered Mylar® diaphragm. The Mylar makes it extremely durable — and its low mass ensures accurate transient response. Gold-plating on internal and external connectors ensures clear signal transfer. 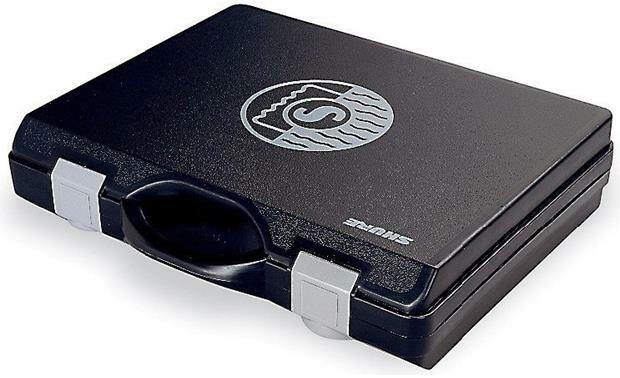 The KSM141 delivers precise sound from acoustic instruments like guitar and double bass. Its response is also well-suited to stringed instruments, brass, and woodwinds, as well as choral and orchestral ensembles. 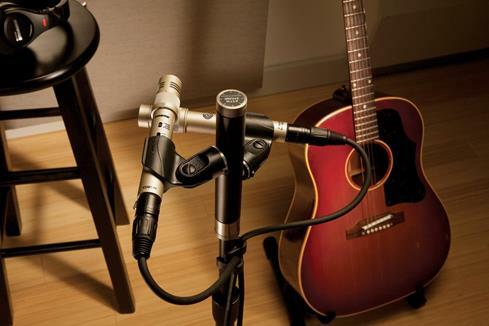 You can even use it to record percussion instruments (especially cymbals), as well as piano and organ. 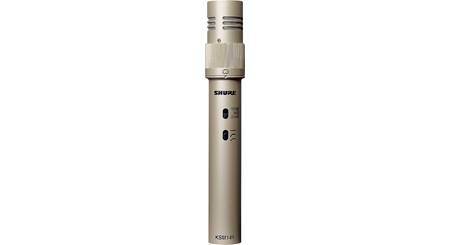 Overview: The Shure KSM141 is a dual-pattern, end-addressed condenser microphone designed for studio use, but rugged enough for live applications. 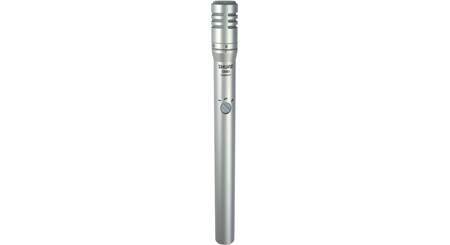 It features a rotating collar switch, that allows the polar pattern to be either cardioid or omnidirectional, making this mic flexible enough for a wide variety of recording and live applications. 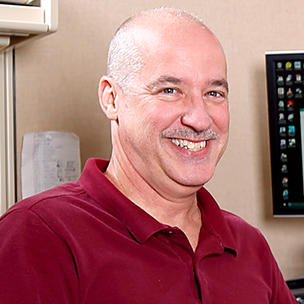 An ultra-thin, 2.5 micron, 24-carat gold layered, low mass Mylar diaphragm offers superior transient response. With the ability to withstand extremely high sound pressure levels and an extended frequency response, the KSM141 is ideal for recording wind and acoustic instruments, low frequency instruments like kick drums and bass guitars, as well as for overhead miking and choral or orchestral ensembles. Polar Patterns: The KSM141's rotating collar-switch lets you select either a cardioid or omnidirectional polar pattern. 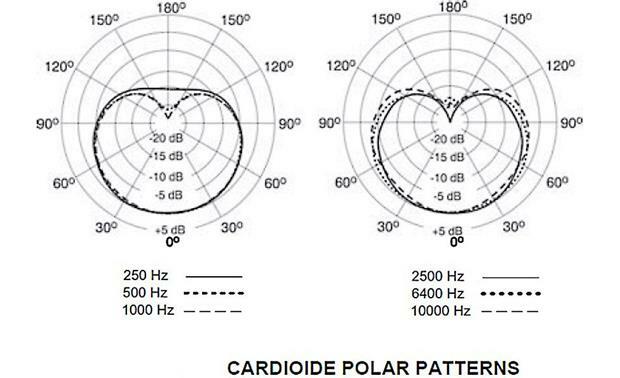 Cardioid: With this pattern, the microphone picks up sounds directly in front of it, while rejecting sounds from the sides and rear. This is most commonly used in studio recording and live sound. 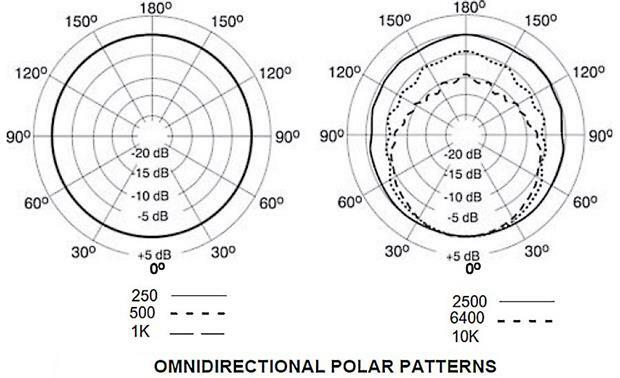 Omnidirectional: This pattern picks up sounds from all directions and is best for miking several sources, such as an ensemble or multiple singers, simultaneously. An omnidirectional pattern is also good for picking up room ambience and overhead miking of drums. Flat: No filtering. This provides the most natural sound in most applications. 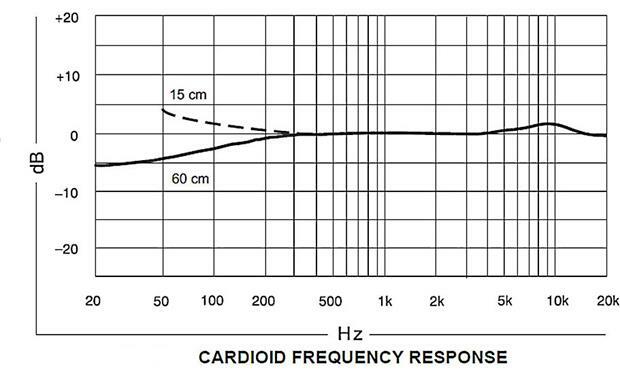 Low Frequency Cutoff (1): This setting provides an 18 dB/octave cutoff at 80 Hz. Low Frequency Cutoff (2): This setting provides a 6 dB/octave cutoff at 115 Hz. Attenuation Pad: Miking loud sound sources or placing a mic extremely close to an instrument can subject the diaphragm to very high sound pressure levels, which may cause audible distortion. The KSM141 includes an 3-position attenuation switch with 0, -15 dB, and -25 dB settings. 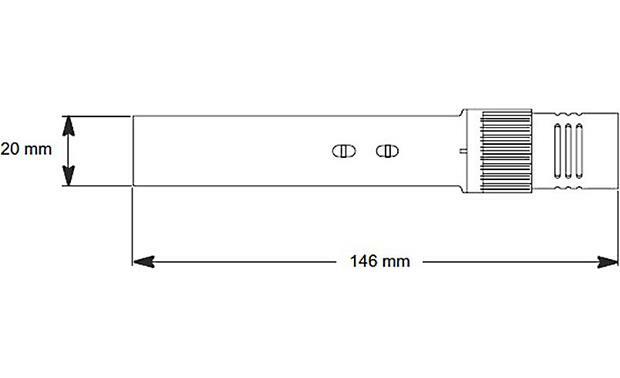 Phantom Power: Because the KSM141 is a condenser microphone, it requires +48 Vdc phantom power. Connection: The output connection is a gold plated, 3-pin, male XLR connector, that offers a balanced, low impedance output. 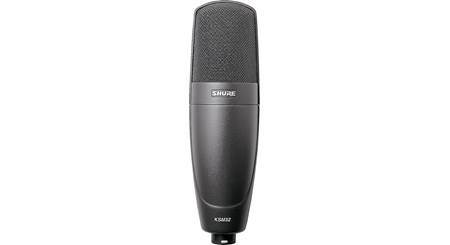 Dimensions: Length - 5.725", Diameter - 0.98"
Searches related to the Shure KSM141 Small-diaphragm dual-pattern condenser microphone.